The government is consulting on reforms of the legal requirement for divorce. The key proposal is to enable divorce to take place without any ‘fault’ so that one party can unilaterally impose divorce on the family with no reasons provided. Christian Concern has produced the following linked report detailing the arguments and reasons why it is important to retain the concept of ‘fault’ in divorce law: ‘No-fault’ divorce: the new divorce proposals for changing the law relating to marriage and other domestic relationships. We believe that the reforms will significantly undermine marriage, leading to increased family breakdown and a further decline in the marriage rate, and that this will be harmful for children and for society at large. The deadline for submissions to the consultation is Monday 10 December 2018.
the response page using the button below. We suggest answering the most important questions: 1, 2, and 8. Otherwise read on for our quick guide to responding. The government is proposing to replace these five facts with a ‘notification process’ whereby one partner can notify the court if intention to divorce which will then be automatically granted after a period of time. This amounts to unilateral divorce for no reason. 1. Do you agree with the proposal to retain irretrievable breakdown as the sole ground for divorce? Irretrievable breakdown should be retained as the sole ground for divorce. The five facts used to establish whether irretrievable breakdown has taken place should also be retained. Marriage is a serious commitment which benefits both parties and any children that may ensue. If we make it easier to exit a marriage, then we undermine the nature of marriage and the level of commitment involved. Marriage should be supported and encouraged by the government because of its benefits to society. Weakening marriage only serves to disincentivise marriage and weaken the institution which will harm children and society. There should still be a requirement to provide a reason why the marriage has broken down, otherwise it is not really the case that irretrievable breakdown is being retained as the sole ground for divorce. 2. In principle, do you agree with the proposal to replace the five facts with a notification process? Divorce should only occur because of a serious and substantive reason. The proposals undermine the nature of marriage. 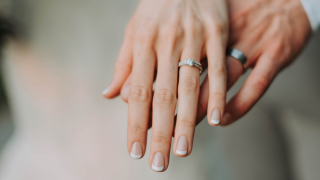 Under this proposal, marriage would essentially be the only contract that can be broken unilaterally without citing any fault by the other party and with no adverse consequences for anyone ‘wanting out’. Proposals to make marriage more like cohabitation where one partner can just exit the relationship with no reason are likely to increase further the prevalence of family breakdown. No reason divorce undermines the seriousness of the decision to end a marriage which carries consequences for the whole family and also for the rest of society. So-called ‘no-fault’ divorce gives the impression in law that marriages break down all by themselves as if it is the fault of marriage as an institution, rather than the fault of one or other of the marriage partners. This reinforces in law the expectation that relationship breakdown is common and occurs for no good reason. The proposals will harm children the most. People like to know why something is happening. If there are no reasons given this can be more stressful for the parties involved than having a clear explanation and reason for the separation. Studies show that children suffer from divorce and that they suffer more when no reason is given as then they are more likely to blame themselves. No-fault divorce will harm children the most. The proposals will put vulnerable people under pressure. The proposed unilateral divorce puts vulnerable people under pressure and at risk of exploitation. For example, a partner could say: “I am not looking after you now that you are infirm/ill. Pay me my share of the assets so that I can start again while I have the chance.” The weaker party will have more to lose, and the stronger party will be able to enforce divorce for no reason. Removal of ‘fault’ means that a wronged spouse has no ability to publicly assert the wrongs committed. Instead the transgressor is just able to walk away with no admission of guilt which amounts to a denial of natural justice. The proposals do not have public support. The proposals will lead to increased divorce rate. 3. Do you consider that provision should be made for notice to be given jointly by both parties to the marriage as well as for notice to be given by only one party? One partner should not be able to unilaterally impose divorce on the other. 4. We have set out reasons why the Government thinks it helpful to retain the two-stage decree process (decree nisi and decree absolute). Do you agree? I do not support the proposed changes in the law and therefore we do support retaining the two-stage decree process. The two-stage process provides time to reconsider what is a very significant life decision with repercussions affecting the whole family. It also provides some time to plan for the future. This opportunity to plan for the future will be all the more important if unilateral divorce becomes law as it allows the spouse who is having divorce imposed on them to start to prepare for all the various family and financial consequences. 5. What minimum period do you think would be most appropriate to reduce family conflict, and how should it be measured? Divorce affects the spouses concerned and any children involved in many negative ways. There needs to be adequate time for reflection and the possibility of reconsidering. There also needs to be time for all parties to start to plan and prepare for the future with all the relational and financial consequences that divorce brings. 6. Are there any circumstances in which the minimum timeframe should be reduced or even extended? The time frame should differ depending on the substantive reason for the divorce as it does at present. If there is an agreed substantive reason such as adultery, then one year could be appropriate. If there is only one party applying for the divorce and no substantive reason is given, then there should be a longer period of two years. 7. Do you think that the minimum period on nullity cases should reflect the reformed minimum period in divorce and dissolution cases? Null marriages are not properly valid marriages and they should be resolved as soon as possible. 8. Do you agree with the proposal to remove the ability to contest as a general rule? Marriage is also a partnership which means that it should not be possible for one partner to unilaterally break the partnership without a compelling reason or the consent of the other partner. The ability to contest backs up the principle of partnership as the nature of the marriage contract. 1 Trinder, L., et al, Finding Fault? Divorce Law and Practice in England and Wales. 2017 Nuffield Foundation, p16, 129, 139. Reconciliation and New Results. University of Pennsylvania, 2006.